Our Root Beer contains no artificial colouring or flavours. For over a year we worked on nailing the perfect recipe and Root Beer was the first product we launched in September 2016. 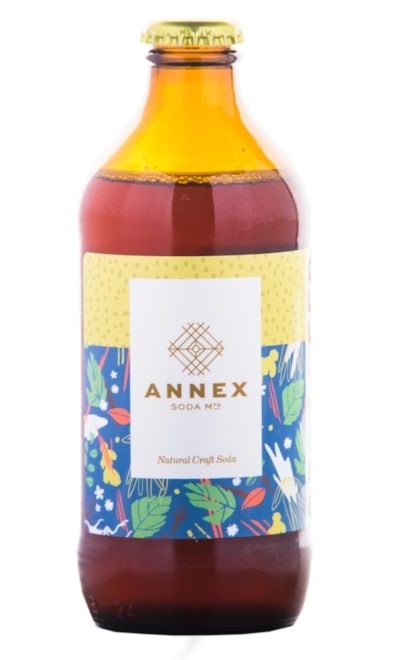 With eleven natural botanicals, Annex Root Beer contains strong notes of molasses, vanilla and wintergreen and is reminiscent of your favourite childhood beverage. The main ingredients in our ginger beer are incredibly simple; ginger, lemon, water and cane sugar. Brewed to be citrusy and spicy this beverage is easily consumed on its own or pairs great with a variety of hard liquors.